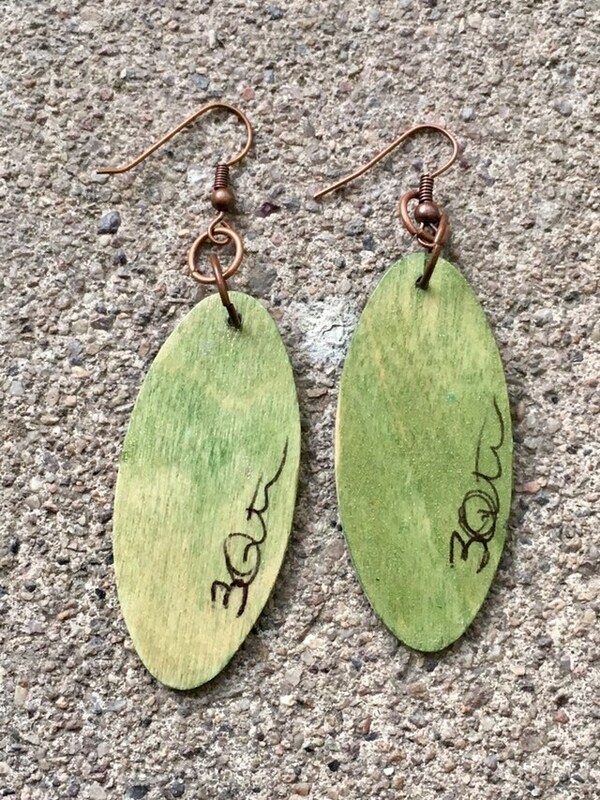 Pretty oval wood earrings. 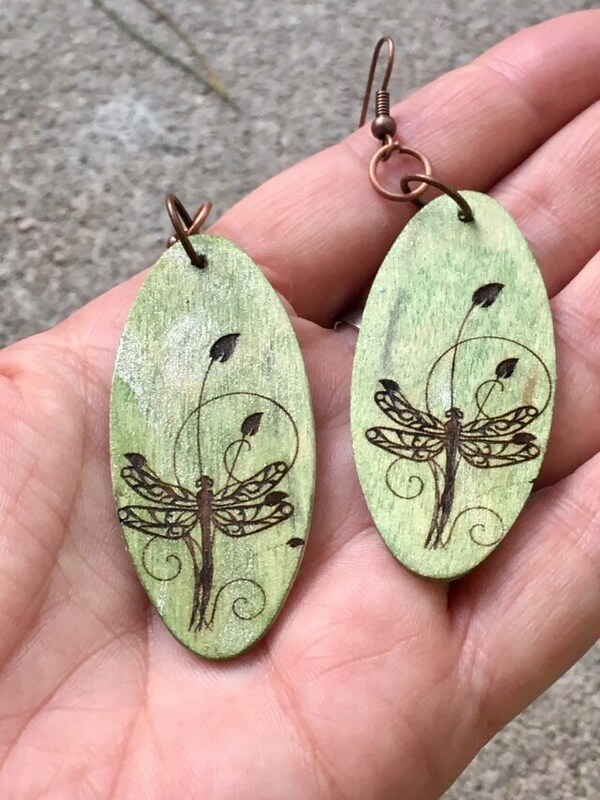 Engraved with a sweet Dragonfly, hand-painted and sealed. 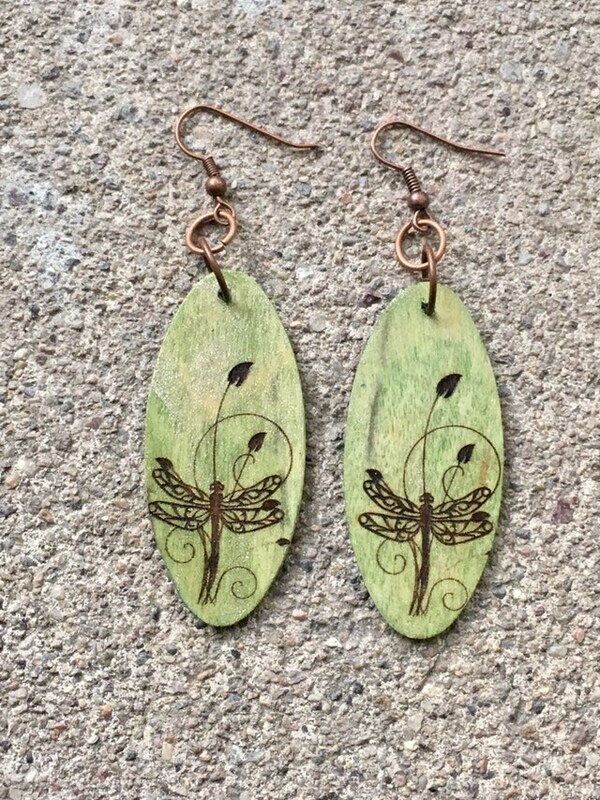 Nickel-free fashion quality metal findings.